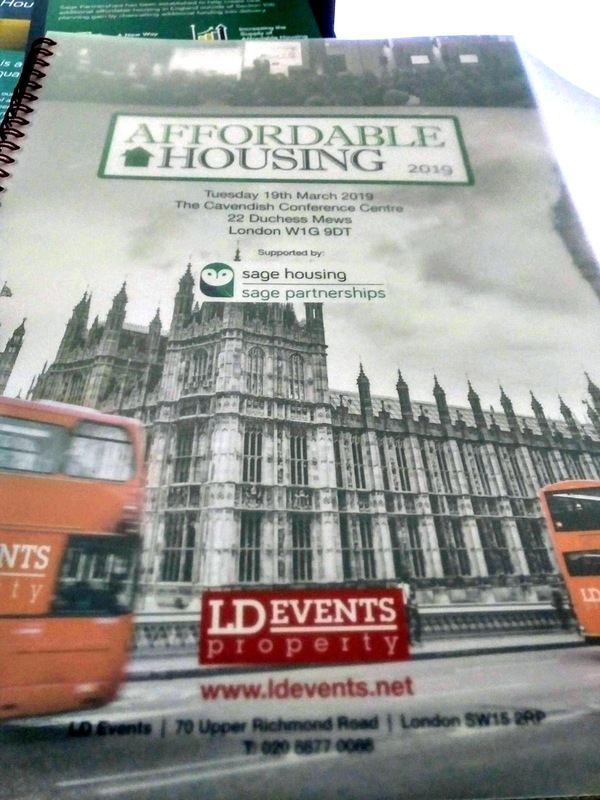 John's Labour blog: Affordable Housing Conference - "A Bold Plan for Local Authority to Deliver it’s own Housing"
Affordable Housing Conference - "A Bold Plan for Local Authority to Deliver it’s own Housing"
My speech today at this "Affordable Housing" conference in central London. "Thank you. As I think I am the only politician speaking today, I hope you will find our perspective of what we are doing in Newham of interest. First the bad stuff, which no one here should be surprised about but just needs saying. Like many Councils up and down the country, Newham is desperately in need of good quality, affordable social homes. For too long supply has failed to keep pace with demand, and a series of damaging Government policies have compounded to result in a disastrous impact on the lives of our residents. As house prices and rents have rocketed in recent years, many of our residents continue to struggle on low incomes. - Nearly half of all Newham residents are now in poverty once housing costs are accounted for. - More than 5,200 households are living in temporary accommodation(remember this figure). - And not only does Newham has the highest number of homeless people in England – shockingly, we have 50% more children in temporary accommodation than in the entire north of England. We have an ambitious local plan to tackle this national crisis – and we are calling on the government and partners for additional action that will help local government to step up the building of truly affordable homes. Our central argument in that the market alone won’t deliver what people need – you need bold action from government, partners and from local authorities to drive forward affordable housing delivery. o 1,000 new Council owned homes at social rent in 4 years. Our recently agreed Local Plan sets out over the longer term that we will deliver 43,000 homes over 15 years. We have the land available in Newham, and we have the ambition to make a serious impact on London’s housing crisis. We want to work in partnership to do just that. Our approach to delivering affordable housing has 3 main objectives. c. Make full use of RTB receipts. We successfully bid for £107m from the Mayor of London’s Building Council Homes for Londoners Fund - the highest allocation of any London authority. And we have made sure that our own housing delivery vehicle - Red Door Ventures – is focused on delivering the genuinely affordable homes that Newham needs. RVD is a 100% council-owned company, will be an important driver in the delivery of affordable homes in the borough in the coming years. There is much more to do – but we want to work in partnership to deliver the genuinely affordable homes that Newham needs. For example, we are also actively looking into with other LA and investors whether our Council pension funds should invest in social housing. Of course, this cannot just be about numbers of units – we need to involve people in the process. The key phrase of our administration in Newham is ‘putting people at the heart of everything we do’. That means genuinely involving people in decisions – including major decision about their local area. There has been a strong feeling in Newham and many other communities that regeneration does nothing for the existing local residents – that it displaces local people and just pushes up rents. So we will also be pioneering new engagement approaches to involve residents in decision making – in major development like the Carpenters Estate in Stratford. Finally, as the only politician on the panel, I do need to point out the changes we need from government. We have ambitious plans in Newham. But we continue to be shackled by disastrous Government policies. The housing crisis is worsened by the government’s damaging and poorly implemented welfare reforms. And while the lifting of the HRA cap is welcome, we need more funding for local authorities to build the social homes that we need. We need subsidy to make homes truly affordable. Since 1982, Newham Council has lost almost 10k (9,707) social homes to RTB. 1/3 of our stock. The high discounts, the low qualification period, and the restrictions around the use of RTB receipts also mean that it is almost impossible for LA to replace these greatly needed homes. England needs to follow the example of Scotland and Wales and end RTB, as a crucial part of a package that will help LAs deliver Localism but also the homes we need in a sustainable way. Many of the new homes which are being built, are popping up in places, which are unhealthy for the occupants such as by busy roads. What is the cost of the NHS and to those people, whose lives are impacted by poor air quality?. They also have n't done much to make homes carbon neutral. To retrofit homes, will be significantly more expensive, then a home which is being built from scratch. May you you should carry out a study on the towers by the A13 flyover in Canning Town. I am desperately stuck in my housing situation. This is largely the fault of Newham Council and politicians from all sides who are in the pockets of greedy businesses. I am being tortured by noise and jet fumes from London City Airport. When the airport opened in 1987, the residents who objected were made promises and told the airport would not be allowed to expand as it was a small 'city' airport for VIP businessmen. The airport themselves came on TV to give those assurances. They had a public inquiry at the time and put safeguards in place such as only operating small 7 seater aircraft, as they are quieter. They were not allowed to operate bigger planes due to noise. They were only allowed 30,000 air movements. Today, they have permission for 120,000 air movements. They were no allowed to fly jet engined planes, as they cause significant disturbance. Only propeller planes were permitted at the time. Over the years, the airport has been allowed to expand and time again. Making the airport bigger, bigger planes etc… Newham has failed to protect residents from greedy businesses. Newham council, has 60 Labour councillors. Not a single Labour councillor has stood up for local people (even under the new Mayor). Compare that with Heathrow, where councils and MPs from all sides have formed a consortium to challenge Heathrow on their plans for the third runways. Stephen Timms MP is a cheerleader for the airport. Stephen Timms, has the cheek to blame residents for living next to the airport, even though it was the airport who built their runway in a residential area. This is the injustice we have to deal with! He also implies that the airport has rights over other people land. If I had known, they would turn London City Airport, into a mini-Heathrow, I would not bought in the area. Now I am stuck in my housing situation. The airport was recently sold for £2bn, by a consortium of American investment funds. It is owned by another investment and Canadian pension company. Nehwam gave the airport planning permission and their value went up. They made a £1bn profit on the sale. Their 'planning gain', came at the suffering and exploitation of ordinary people like me. Not a penny of this £1bn profit was shared out with the people whose homes are blighted daily bynoise. It is people like me who have to live with increased noise, whilst they greedy rich have their £1bn. Labour have let people down. These investors made money on the back of us, every day the noise is trespasses into my home and I have no right to protect my home and boundary from intrusion of noise. . If the noise was limited to the perimeter of the airport boundary, it would not be an issue, but the noise is coming into my home. So I should be paid compensation. If they had shared out the £1bn, then I could have moved out. London's house prices are out of control. It does not matter how much expansion, is given the airport will come back for more. That is the problem at Heathrow too. When someone buys a plane ticket, they don't pay a penny in compensation to the residents who face these disturbances. Is it so economically important to fly to Ibiza or Mallorca from a residential area? This is an example of the economy working for the few at the expense of the many. The airport is registed in a tax haven. Did they pay taxes on their profit?. Their public accounts, show they were using tricks to reduce their tax burnden, by borrowing money from the parent company, so they pay less UK corporation tax. I cant have a peaceful life. We can't enjoy our local parks due to noise and the air is frequently foul of jet fumes. I have had health issues, which I believe are down to the airport. The NHS is too skinned to offer health checks. People who live miles away in other Boroughs, complain they are under London City Airport flight paths. Aircraft start their decent up to 30 miles away. When the Mayor of London Sadiq Khan was elected he said he wanted to improve London's air quality, but at the same time this hypocrite allowed London City Airport to expand again. So it is okay for Newham residents to breath in foul jet fumes. Whilst the rich in Central London can enjoy clean air. Boris did a few things to block the airport from their recent expansion, but Sadiq Khan over turned them as soon as he got into office. Sadiq Khan has let the airport buy 22 acres of public land for peanuts (I don't have figures, but I heard rumour their paid £700k!). They are concreting over part of the King George V dock to to cater for the bigger jets. Not of a single politicians on the London Assembly did anything to help us, despite voting there would be no further expansion. What is the point of people like Robin Wales talking taking action against slum Landlords, when he himself have turned the neighbourhood into a slum?. The areas has become a noise gettho. The air is foul of jet fuel. I was watching a TV show about Newham's slum landlords, and council officers would show the horrific housing conditions, but at the same time, the same council officers were recommending to expand city airport. Bunch of hypocrites. Councillors such as Ken Clark, got a free ticket to a West Ham football match paid by the airprot (see declaration). His daughter works at the airport. I don't know much about Ken Clark, so how did the airport know he was a West Ham supporter? How did they know he liked football?. Ken Clark sat on the the Planning Committee which waved through the London City Airport planning application. I am angry at Newham Council and the Labour party. If you want to build more affordable housing, then buy out the airpot, they are sitting on a lot of land. It would solve my problem. In fact Heathrow, should be relocated to Boris island where they can have as many runways as they want running 24/7. Heathrow is the size of a small town. thanks you for your views. 1. air quality and the wider climate emergency will be a key issue for this administration. 2. While I have not been involved in any planning decisions on city airport I don't think it is helpful to be rude and disrespectful about peoples motives. 3. Be angry by all means but if you want to be taken seriously don't mix your good arguments with that from the gutter.